Contact Watts Law Firm, P.C. Loss of hearing, vision, sense of smell or taste. Brain injuries can be financially devastating. They occur most tragically in young people, wounding the entire family psychologically and requiring a lifetime of care and expense. TBIs are usually caused by a blow to the head, or by a violent action like shaking a child. It can also be the result of medical error, such as a misdiagnosis or failure to diagnose an injury, the deleterious use of anesthesia or trauma experienced during surgery. 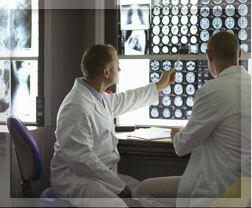 Malpractice is the cause of an entire class of brain, spine and neurological injuries. In our practice at Watts Law Firm we have represented clients with drop foot, or foot drop, a neurological condition that causes those afflicted to drag one or both feet. Malpractice enters in when a doctor fails to diagnose the ailment in time to correct it. The condition then becomes permanent. The spinal cord is damaged during surgery, resulting in paralysis. Infections and epidural abscesses in the spinal cord go unnoticed, resulting in great pain and paralysis. Serious nerve damage and permanent paralysis result from badly administrated anesthetics. A malignancy in the spine is misdiagnosed, resulting in severe damage to spinal tissue. Patients fall out of bed and suffer spinal or brain injuries. When we take your case we become your partner, not just ensuring quality legal representation, but advocating for you with doctors and insurance companies. Put our experience and our successful track record as lawyers obtaining maximum compensation for your injuries and losses. Did your loved one suffer a catastrophic brain injury while under a doctor's care? Hold the negligent party to account. Call Vermont traumatic brain injury attorney Norman Watts at (802) 457-1020. We serve the following localities: Addison County including Bristol, Middlebury, and Vergennes; Chittenden County including Burlington, Colchester, Essex, Essex Junction, Milton, and South Burlington; Franklin County including St. Albans; Washington County including Barre and Montpelier; Windham County including Brattleboro and Newfane; and Windsor County including White River Junction and Woodstock. Copyright © 2018, Watts Law Firm, P.C.